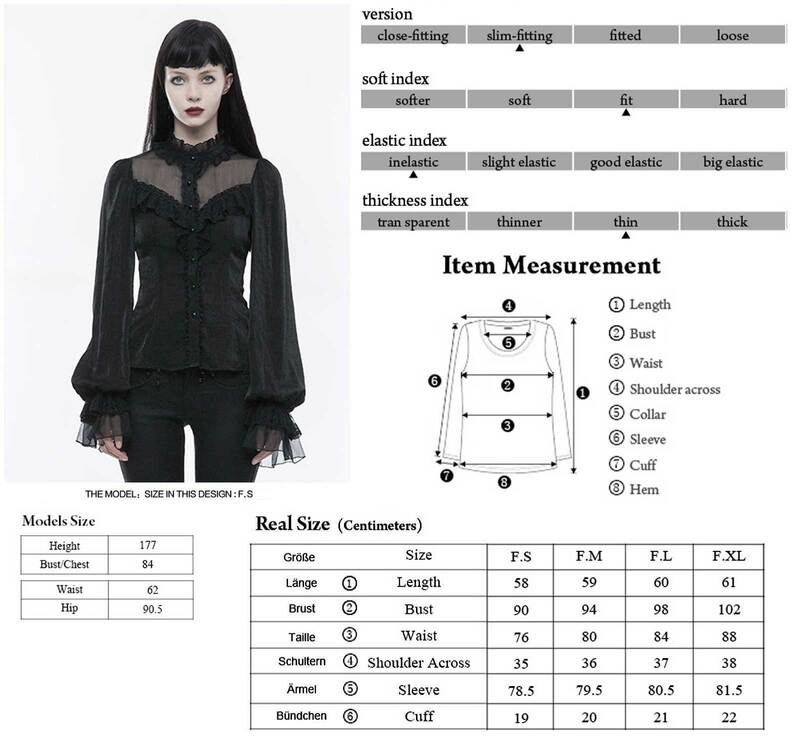 Romantic gothic blouse shirt by Punk Rave branch Pyon Pyon. 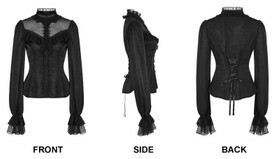 Classic victorian cut. 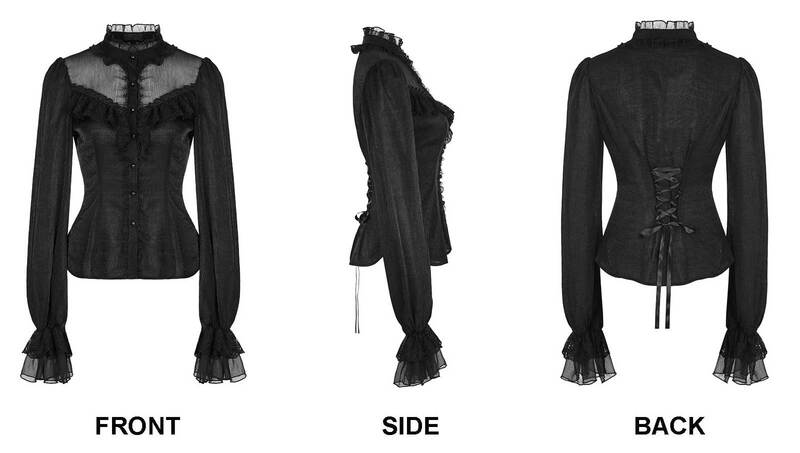 Wide long sleeves with puffy ruffle cuffs. 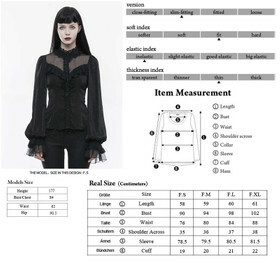 Romantic gothic blouse shirt by Punk Rave branch Pyon Pyon. Classic victorian cut with button-front and tiny ruffles. Upper part with see-thruogh mesh contrast. Slightly glossy crinkled fabric. 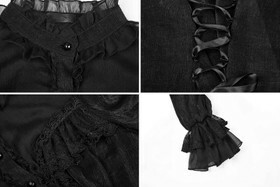 Wide long sleeves with puffy ruffle cuffs. Back with lacing.